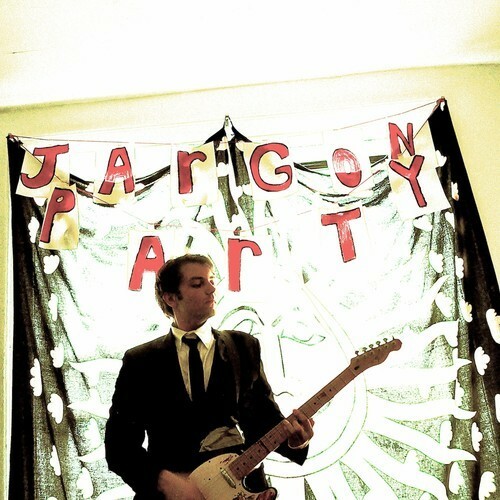 The album from Maine one man rock band Jargon Party is a self titled album that takes heavy influence from The Beatles, the main inspiration for front man Zach Lewis. On the album, Zach plays guitar, vocals, and keyboards, while having his friend Dave Charboneau play drums. Lewis began pursuing music in the first grade when he became involved in the school choir, and from then on he was inspired to learn every instrument that he could-ranging from guitar, bass, and drums. Originally based in Richmond, Virginia, Lewis struggled to find musicians to form a band, and eventually moved to New York City in 2011. Upon his move to the Big Apple, Zach began Jargon Party as a six piece band until the group dwindled down to just Lewis after the rest of the band left due to jobs or other interests. The albums first track, “Isabella” is a tune that sounds very similar to early tracks by The Beatles, and sounds like it would fit well into the 1960’s as it pays tribute to rock and roll beginnings while also incorporating surf style guitar riffs and Beatles like harmonies. The only complaint about the song is the vocals. It feels like Lewis is trying to sound too much like his idols, and does not bring enough of his own voice into the song. “Will You Space Tonight” is another rock tune that incorporates space like elements to compliment the slower vibe on the record. While the spacey sound effects adds a little something extra, “Will You Space Tonight”, has pockets where the sound and texture of the song sounds repetitious, particularly with the guitar since it does not have a lot of differentiation in the overall sound. “Under The Sun” has a guitar riff that sounds like something from a Buddy Holly record and the surf vibe is what makes the track one of the best songs on the album. Another nice moment is the guitar line in the middle of the song, with Lewis showing off his technique giving the tune a more colorful feel, while also making it feel complete. 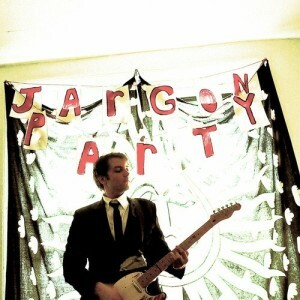 There are some good songs on Jargon Party’s latest release and fans of The Beatles will enjoy Lewis’s tribute to the Fab Four, while being reminded of the music they grew up with. As Jargon Party matures on the musical front, expanding their sound would be a good thing as it would widen the gap between the oldies music they are replicating and the music of today.